This December 1, Mexico had its change of Presidency, welcoming Andrés Manuel López Obrador as the 65th President of Mexico for the next six years. Along with the swearing in, the Office of the President introduced a new logo for the Mexican Government. The signature Government of Mexico is the most important communication element of the country. It focuses on the personality and positioning of the new government, and integrates the meanings and symbols that this regime wants to communicate through its image. The main image of the Government of Mexico is composed of four elements: at the top the group of five heroes of the country supported by a wavy pleca, the words Government of Mexico located on two lines, the National Coat of Arms and the texture of plumage in the background. One of the elements that help us to give consistency in an identity program is typography. 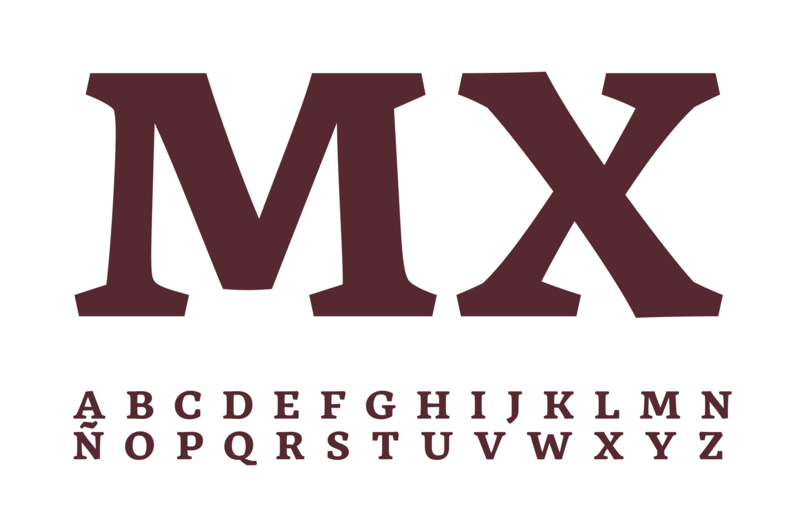 The font of our brand is "GMX". 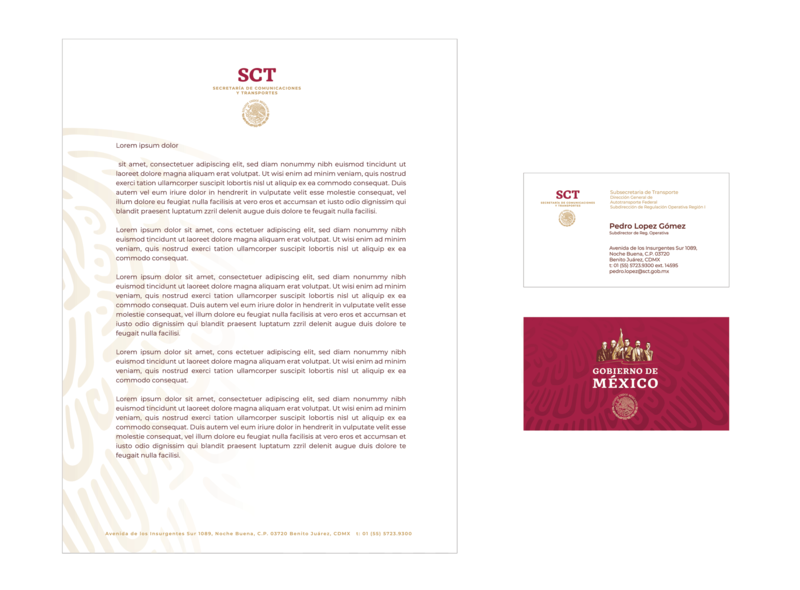 It is an original typeface created exclusively for the identity of the Government of Mexico. We sought to create a typography at the height of the transformation of the country. It is energetic and with character, like the Mexicans; contemporary and daring but also respectful of the country's great history. It has expressive and solid auctions that support the importance of this government. It is distinctive in its hybrid style, but above all progressive. Video introducing the concept of the “4th transformation”. The old logo, in all its default Trajan-ness, was fine and the kind of thing you would expect from most governments. Nothing good or bad about it, it just sort of existed, using the seal and colors of the flag. The new logo is unexpected in so many ways, starting with the lack of use of the green/white/red colors of the flag — which are the colors of the party, the PRI, that the new President ran against — and the introduction of an illustration featuring five figures of Mexico’s history — spanning from the late 1700s to the early 1900s. The theme of the presidency is Mexico’s “4th Transformation” — mainly getting rid of corruption — and the five figures represent three of the country’s transformations. In principle it’s an odd but thoughtful approach, building on the efforts of past leaders but also, perhaps, a little too self-congratulatory ahead of time by implying that this Presidency could be regarded as one of four major moments in history. It very well could be. I’m not here to debate that — only the implication the logo makes. If it weren’t for the illustration, which I am sure will be used endlessly for political cartoons, the logo would be pretty good through the sole use of the custom font, which is a nice, strong slab serif with plenty of personality. It pairs well with the free Montserrat, which in turn pairs well with the seal, and makes for some decent sub-brands. The identity uses a very big close-up of the feathers of the eagle as a backdrop, which give off a very dated look, along with the wavy swoosh under the illustration. Overall, whether it’s right or wrong, the logo certainly makes a statement. Thanks to Antonio Farias for the tip.